Enterprise application software company, SAP has announced the next generation of its HANA platform optimized for innovation and can help businesses compete more effectively in the digital economy. 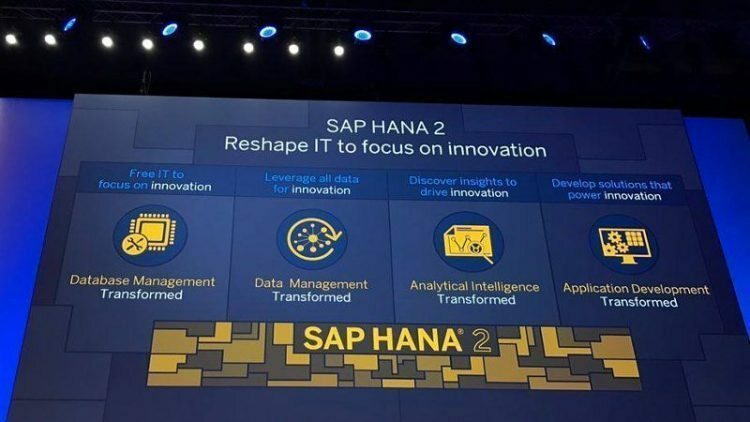 According to the company the SAP HANA 2 platform includes and extends the technology from its in-memory computing platform to provide a new foundation for digital transformation. The company also states that the new platform, a continuation of the existing one, simplifies database and data management – and makes it easier for application developers to deliver smart, insight-driven apps. The company states that the new platform will be released to customers on November 30 this year and the Express Edition of HANA 2 will be available for delivery shortly after general availability. As an innovation platform, the HANA 2 will deliver technology enhancements twice a year to support agile IT and help organizations jump-start new development projects. Database management – with the new active read-enabled option, IT organizations will be able to leverage secondary systems, which was previously used for system replication to offload read-intensive workloads for improved operations. Now, IT organizations will be able to provide business continuity with enhanced high availability, security, workload management and administration enhancements. Data management – A new edition of the SAP Enterprise Architecture Designer Web application that works with and is powered by HANA allows IT organizations to manage complex information architectures and visualize the potential impact of new technologies before they are implemented. Analytical intelligence – New algorithms for classification, association, time series and regression have been added to the predictive analytics library to empower data scientists to discover new patterns and incorporate machine learning into custom applications. Application development – Bring-your-own-language support provides a choice of additional third-party build packs and runtimes that can be used within HANA extended application services, advanced model. Also, a new file processor API enables developers to extract text and metadata from documents to deliver deeper insights. In addition to the new generation of the HANA 2 platform, the company has made new SAP HANA microservices available by subscription through the SAP Hybris as a Service (referred to as “YaaS”) marketplace to spur developer innovation by embedding richer insight into modern applications. Both the announcements were made at SAP TechEd, that is being held in Barcelona from the 8th to the 10th of November 2016.